First Long B Italian variety with early cycle. Excellent yielding potential, cristal kernel and good milling yield. Adaptable in every soil type. 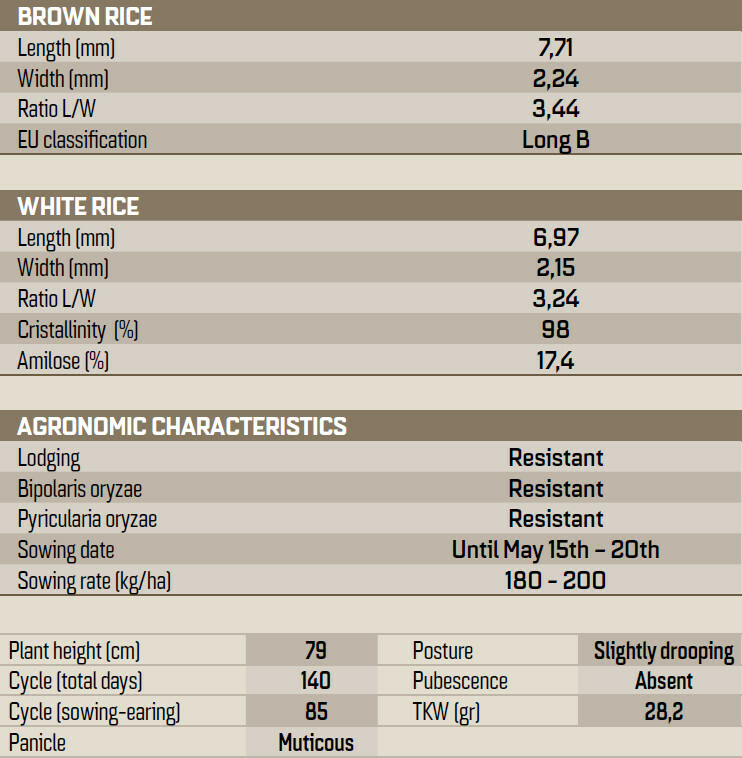 The best alternative in late sowing and for red rice control.